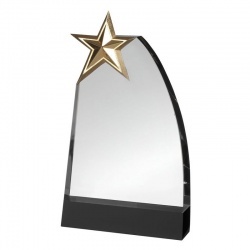 Reward your stars with these distinctive modern glass award plaques. 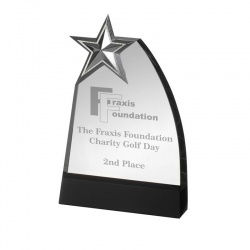 They feature a flat clear glass plaque in asymetric shape, on a black glass base, and topped with a metal star. The star is finished in a bronze colour, standing 7.5in (190mm) tall. 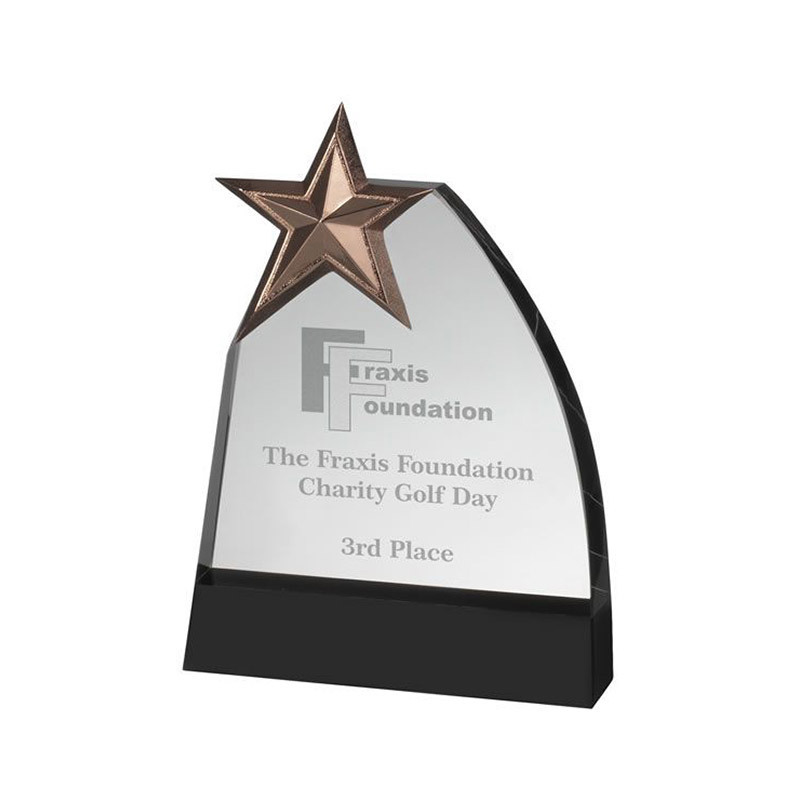 These awards can be engraved on the flat front of the plaque and/or on the base. 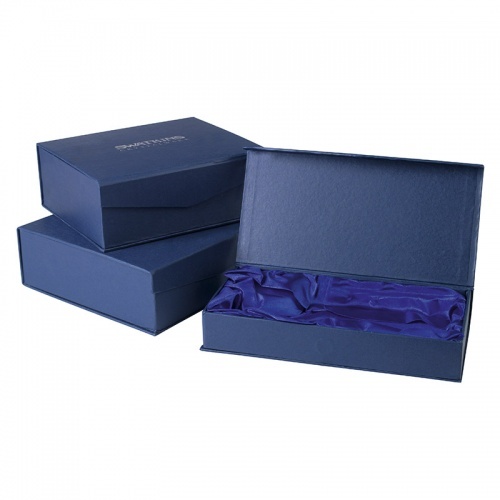 These crystal star plaque awards are supplied presentation boxed. Available in three size options - see Related Products, below, for other sizes. Clear glass plaque on black base, with metal star. 8.5in tall. Clear glass plaque on black base, with metal star. 9.5in tall.